Simple, hollow, and air-filled cavities in the upper jaw bone are known as sinuses. The air travels through these sinuses each time you breathe. When the lining of the sinuses get infected or inflamed, the condition is called as sinusitis. Sinus infection mostly affects the upper rear teeth as they situate very close to the sinuses. Upper teeth pain is usually considered as a common symptom of sinus condition. Consult your dentist immediately if you have persistent toothache. The pain may be either due to sinusitis or other issues. The dentist will run certain tests to confirm whether the pain is coming from a particular tooth or tooth root. If it is found to be an infection, the dentist will have medications to cure it. If the teeth seem healthy after the tests, the next level is to check for the sinus infection. Increased pressure build-up inside the sinus cavities may instigate a sinus toothache. A sinus-related toothache can be bilateral. It can affect both sides of the face. The core cause for the condition can actually be something dental. Tooth abscess is one of the most common dental issues that may lead to a sinus infection. Tooth abscess in the upper jaw can cause infection and sinus toothache as it stay very close to the sinus cavity. 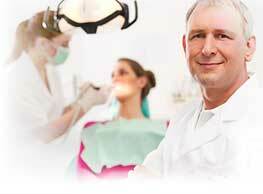 Dental procedures like root canal, dental implant, sinus lift etc. may cause injury to the mucus. This may cause bacteria to affect the sinus. Antibiotics that contain the element of trimethoprimsulfamethoxazole, azithromycin, cefuroxime, amoxilin etc. The important factor in this is to identify whether the toothache is cause due to tooth infection or any other like sinus infection. It is important to find the cause because treatment should be given to tackle the cause for the condition.